Tickets to the performance can be purchased later this spring! Live your passion this summer! The Proctors Collaborative presents the opportunity of the summer! 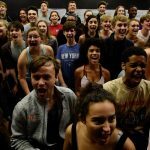 Broadway professionals instruct students in every aspect of producing a full-scale show from onstage, behind the scenes and in the pit orchestra-skill building workshops, rehearsals for hands-on training and ensemble work culminating in performances on the MainStage at Proctors. Hone your talents onstage or offstage with our experienced faculty alongside fellow student artists. Winner of 9 Tony AwardsTM, 5 Drama Desk and a Grammy Award, Les Misérables is a musical based on the 1862 novel of the same name. Musical by Claude Michel Schonberg and original French language lyrics by Alain Boublil and Jean-Marc Natel, with an English-language libretto and lyrics by Herbert Kretzmer. The London production has run continuously since October 1985, making it the longest-running musical in the West End. Set in nineteenth-century France, Jean Valjean, after years of unjust imprisonment is released on parole and makes the most of the opportunity, changing his name and eventually becoming a factory owner and mayor. Valjean’s criminal past is resurrected when the Chief of Police, Javert, recognizes him and vows to bring him to justice. Valjean is forced to give up everything he has worked for and flee. Before doing so, he promises Fantine, a former worker on her death-bed, that he’ll find and care of her daughter Cosette. Years later, Valjean has cared for Cosette as a father. During the Paris student uprising of 1832, Javert must confront his ideals after Valjean spares his life and saves a student revolutionary who has captured the heart of Valjean’s adopted daughter, Cosette. 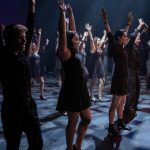 Master classes and workshops with Broadway professionals including performing, music and production, (including by not limited to make-up, voice, diction and more). Assistance in preparing audition songbook (16 and 32 bar audition song cuts) –Musical Theatre Repertoire and selecting audition material suitable for you. March 31 | 10 a.m.–2 p.m.
April 2 | 4–7 p.m.
Dream of being on Broadway or just love performing? Join us for four weeks of learning, creating, exploring and rehearsing for Les Misérables. 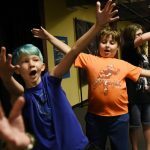 Training in workshops and studio classes will focus on singing, dancing and acting. Plus make friendships that will last a lifetime! 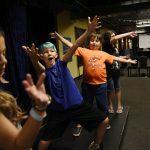 This three-week program offers hands-on training and experience working with professionals in a state-of-the-art facility, the home for Broadway tours in the region. Students learn all aspects of technical theatre while focusing on the musical Les Misérables as their final project. Criteria for a successful application include the desire to learn stage management, directing, scenery, costumes, lighting, props and sound. Tech students will attend rehearsals, workshops and master classes for technical elements and a visit for a behind the scenes tour of Adirondack Studios. Auditions: June 4 & 5 | 5–7 p.m. Dates: July 28–Aug 2 | 1–5 p.m. In the pit orchestra students will work alongside fellow artists onstage and backstage for the summer MainStage show! 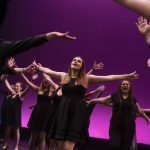 This program includes rehearsals and performances in the orchestra of Les Misérables plus workshops to explore opportunities musical theatre offers musicians.